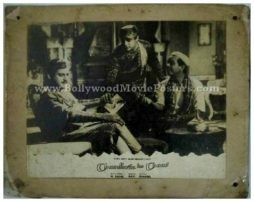 Extremely rare original old Bollywood poster of the hit Guru Dutt film, Chaudhvin Ka Chand (1960) for sale. This is an actual surviving vintage hand painted Bollywood poster of the 1960 hit Hindi film that featured one of the greatest filmmakers of Indian cinema, Guru Dutt in the lead role. Chaudhvin Ka Chand was a comeback for Guru Dutt. The film is believed to have revived his production studio, making this poster highly collectible. This artistic hand painted Bollywood poster features a stunning portrait of Waheeda Rehman on the top. She appears in a somewhat demure poster, lifting her veil. 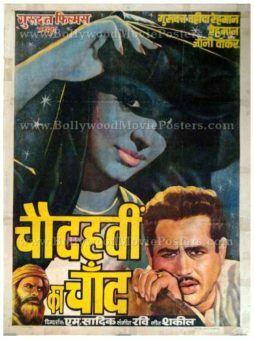 The color tone used to paint her face is similar to that of the moon – inline with the title of the film “Full moon on the fourteenth night.” This original vintage Bollywood poster has its title and credits written entirely in Devanagari Hindi. 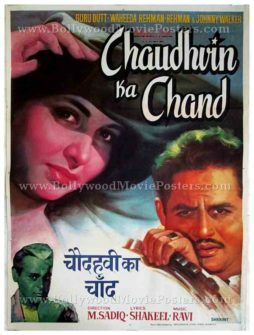 Chaudhvin Ka Chand is a 1960 Bollywood movie produced by Guru Dutt, starring him opposite Waheeda Rehman in the lead role. The film was a hit and its title song, “Chaudhvin Ka Chand” became a rage throughout the nation and is played till today. Mohammed Rafi went on to win the Filmfare award for best male playback singer for the song. Rare original hand painted Bollywood poster of the hit Guru Dutt film, Chaudhvin Ka Chand (1960) for sale. This is an actual surviving vintage Bollywood poster of the 1960 classic Hindi film that featured one of the greatest filmmakers of Indian cinema, Guru Dutt in the lead role. Chaudhvin Ka Chand was a comeback of sorts for Guru Dutt. The film is believed to have revived his production studio, making this poster highly collectible. 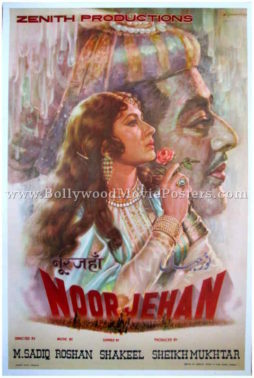 This beautifully hand painted Bollywood poster features a stunning portrait of Guru Dutt on the right. 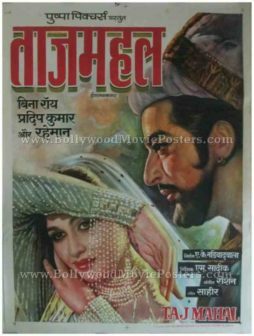 The object of his affection, actress Waheeda Rehman is seen in a beautiful pink avatar on the left of the poster. 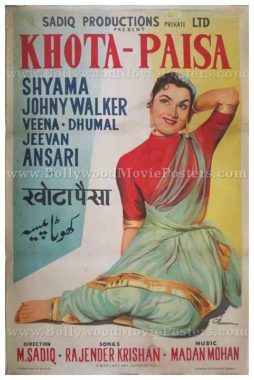 This vintage original Bollywood poster has its title and credits written in English with a translation of the title in Devanagari Hindi at the bottom.